Philip J. Koo, MD, presented “Incorporating New PET Imaging and Theranostic Approaches into Prostate Cancer Practice” during a joint session with SNMMI at the 2018 ASCO Annual Meeting. 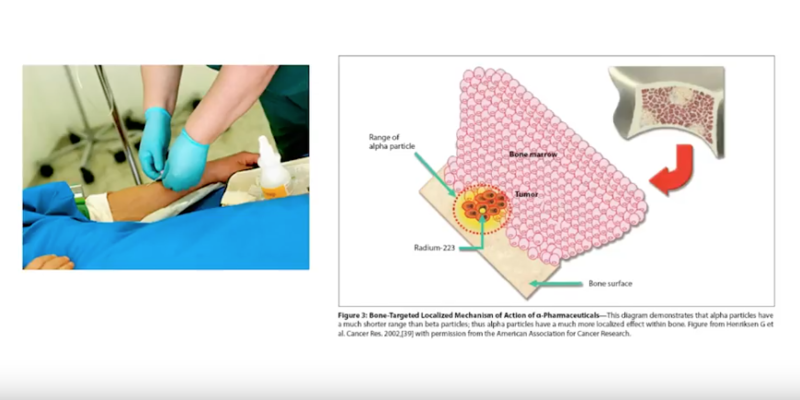 Part one of this two-part series offers an introductory overview of nuclear medicine imaging, therapies, and theranostics for patients with prostate cancer. In addition, it shares the work of the RADAR (Radiographic Assessments for Detection of Advanced Recurrence) Working Group in developing recommendations for how best to use imaging for prostate cancer, including an introduction to the newly published RADAR III document on next-generation imaging. 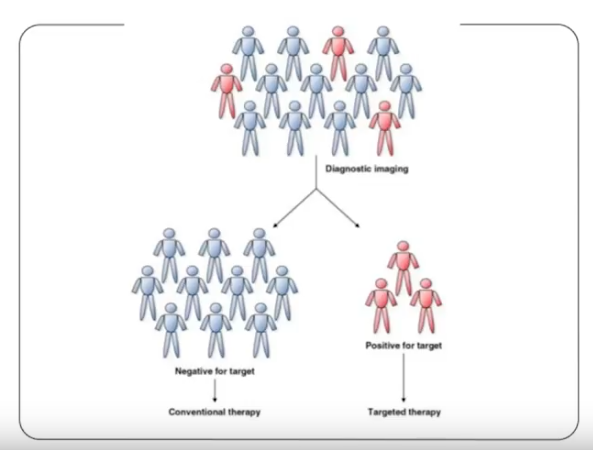 Phillip J. Koo, MD, Chair of the Prostate Cancer Outreach Working Group, offers an introductory overview of nuclear medicine imaging, therapies, and theranostics for patients with prostate cancer. Following Dr. Koo’s discussion, Susan F. Slovin, MD, PhD, shares the work of the Radiographic Assessments for Detection of Advanced Recurrence (RADAR) Working Group in developing recommendations for how best to use imaging for prostate cancer, including an introduction to the newly RADAR III document on next-generation imaging. Before delving into the topic of theranostics, Dr. Koo introduces the Society of Nuclear Medicine and Molecular Imaging (SNMMI), a society representing over 15,000 technologists, physicians from multiple specialties, and scientists. Their flagship publication, The Journal of Nuclear Medicine (JNM), has an impact factor of 6.646, and is the fifth highest-ranked journal in impact factor out of 125 journals in the medical imaging category. Additionally, there were 22,728 citations to JNM in 2016. Current technologies in nuclear imaging include single-photon emission computed tomography (SPECT) with gamma camera imaging, which is typically used for bone scans, as well as single-photon emission computed tomography (PET-CT). While nuclear medicine is generally an image-based specialty, there are many accepted nuclear therapies, like iodine 131 and 90Y-ibritumomab. Also, the portfolio of nuclear therapies in clinical practice is explaining. For example, the FDA approved radium-223 for advanced prostate cancer in 2013. These nuclear therapies are unique because they involve clinicians injecting radioparticles into a patient. The radioparticles then distribute and localize in different areas throughout the body. Conversely, radiation oncology therapies involve directing sealed sources of radiation toward specific targets. In the simplest terms, the theranostic approach combines targeted therapy and diagnostic imaging. In other words, diagnostic imaging can identify those patients who are positive or negative for a target out of a larger population. Subsequently, the patients who are positive can continue onto targeted therapy, and patients who are negative can receive conventional therapy. According to Dr. Koo, bone scans, which emerged in the 1970’s and remain a standard of clinical practice, have many limitations. Bone scans result in two-dimensional images with poor resolution that only shows the bone’s response to disease, but do not, however, necessarily show the disease itself. In 2012, the FDA approved C-11 choline for prostate cancer, but, due to its 20 minute half life, only for use in Mayo Clinic. Then, in 2016, the FDA approved F-18 fluciclovine, which has a two hour half life, and did not restrict usage to just Mayo Clinic. Furthermore, prostate-specific membrane antigen (PSMA) is a promising target for prostate cancer treatment and could significantly change practice in the future. Recent developments in prostate cancer knowledge have correspondingly caused controversies and questions to arise regarding the use of nuclear medicine. 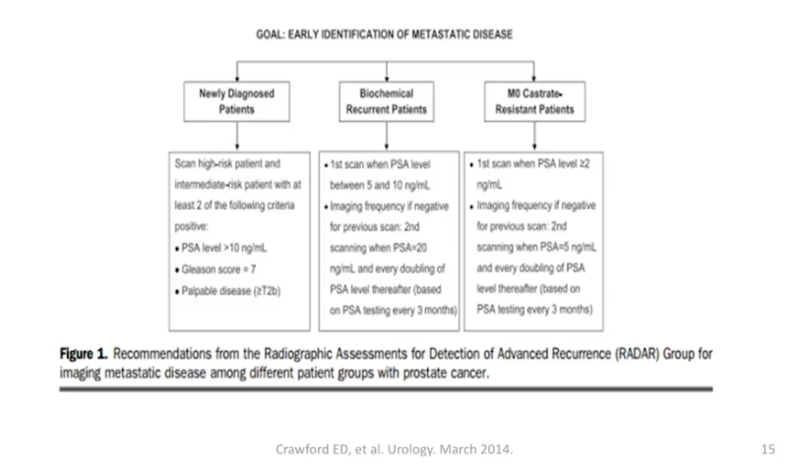 Dr. Koo explains the challenges of incorporating nuclear medicine with the uncertainty surrounding oligometastatic disease, nonmetastatic M0 castration-resistant prostate cancer (M0 CRPC), and PSMA non-expressors. Properly caring for prostate cancer patients requires a multidisciplinary approach. Dr. Koo emphasizes the increasing role of nuclear medicine in the management and care of these patients. During the second half of this presentation, Dr. Slovin explains her, Dr. E. David Crawford’s, and a multidisciplinary research group’s motivation behind RADAR. The main goal was to devise an algorithm for using imaging as a patient’s cancer evolves over time. In RADAR I, the 2014 version of this project, the research group created an algorithm for imaging patients at different disease stages. 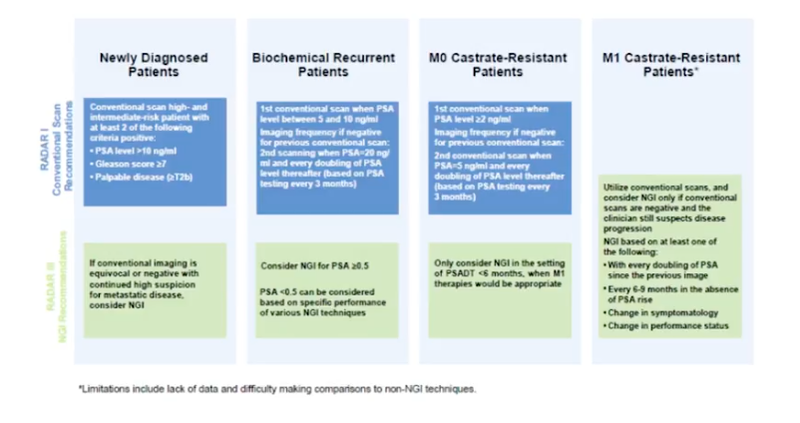 Those stages were newly diagnosed metastatic disease, biochemical recurrence, M0 castration-resistant disease, and M1 castration-resistant disease. Subsequently, RADAR II, published in 2017, focused on therapeutic layering. In other words, it defined optimized combinations of therapy according to clinical stage of prostate cancer. Finally, the focus of RADAR III, published this year, is next generation imaging and determining the best way to utilize new targeted agents. Additionally, RADAR III updated the algorithm from RADAR I.
Dr. Koo is the Division Chief of Diagnostic Imaging at the Banner MD Anderson Cancer Center in Arizona. Prior to this, he was Chief of Nuclear Medicine and Associate Professor of Radiology at the University of Colorado School of Medicine. Dr. Koo completed his transitional internship at the University of Pennsylvania Medical Center-Presbyterian, radiology residency at Pennsylvania Hospital of the University of Pennsylvania Health System, and fellowship at the Harvard Medical School Joint Program in Nuclear Medicine. He is a diplomate of both the American Board of Radiology (ABR) and American Board of Nuclear Medicine. Dr. Koo is an active member of multiple societies and serves on the scientific program committee for the Radiological Society of North America, nuclear radiology certifying exam committee for the ABR, and is the Chair of the Quality and Evidence Committee for the Society of Nuclear Medicine and Molecular Imaging. In 2015, he was the recipient of the Ursula Mary Kocemba-Slosky Award from the SNMMI/ERF. Dr. Koo has published on various topics related to radiology and nuclear medicine in multiple journals, such as Radiology, RadioGraphics, European Journal of Nuclear Medicine and Molecular Imaging, Urology, and Journal of the American College of Radiology.